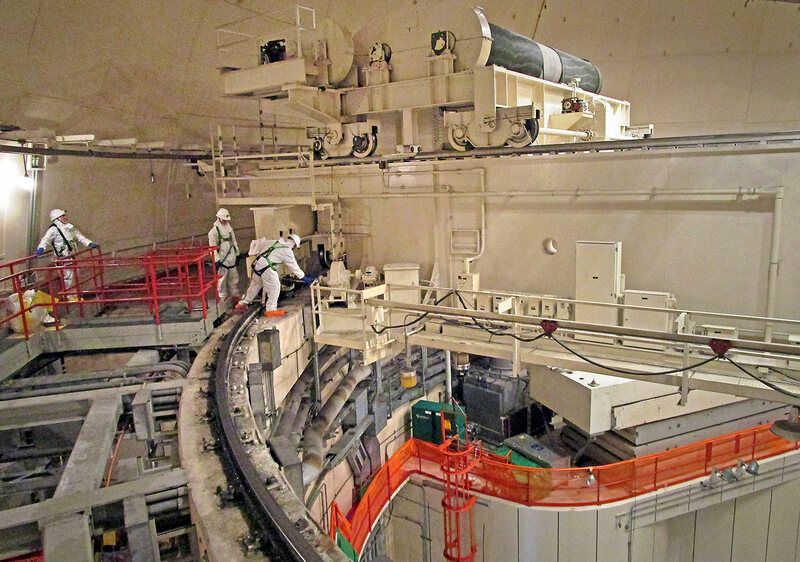 Preventable and predictive maintenance are key processes Whiting uses to inspect cranes in Nuclear Power Generating Facilities. The overall goal of these inspections is to catch items showing signs of wear or failure and replace them prior to failure. Having reliable lifting equipment then removes one more unknown from completing the outage successfully. When inspecting polar cranes we use a large group of technicians specialized in the different area of the cranes so that the complex inspection can be completed in the shortest time possible, typically in less than 24 hours. The speed at which the inspection is completed however cannot compromise the thoroughness of the inspection as completing an inspection quickly and then have the crane fail during outage operation does not provide overall value or increase safety. When we first start working on the cranes we experience unplanned failures. As we work through the backlog of issues, the cranes become more and more reliable. As we work on a particular crane multiple times, we learn its peculiarities. This knowledge allows for faster repairs and less downtime. After we have repeated this cycle over several outages, the crane is now in a “State of Good Repair” and can be expected to operate throughout an outage with minor to no problems.